The new shortcuts section will appear at the bottom of the screen when you open the app. 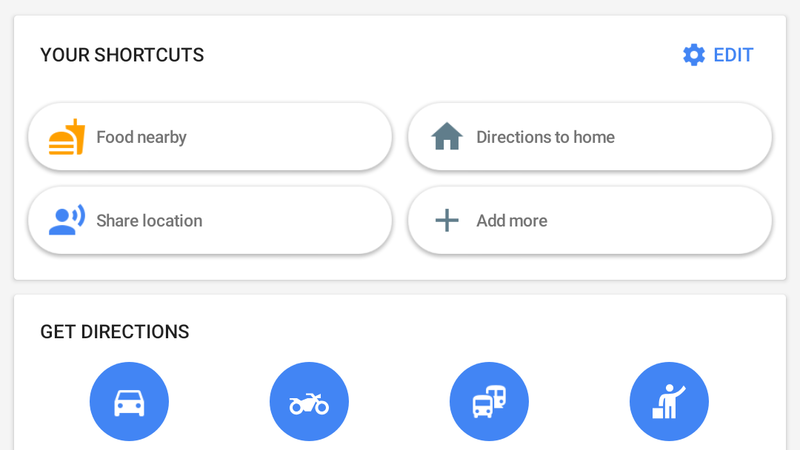 Currently, you can already get a few shortcuts like driving directions to home or work. The new shortcuts section will let you use even more useful features, like finding food nearby, or sharing your location with a friend or family member. Better yet, you can customize which shortcuts appear here. There are shortcuts for finding bus or train stations nearby, getting traffic reports, entering driving mode, and more. You can choose which ones appear in your shortcuts panel, and in what order. Google hasn’t officially announced the feature, and it’s unclear how many people this feature will rollout to or over what timeline, but it’s at least nice to know what’s coming in the pipeline.